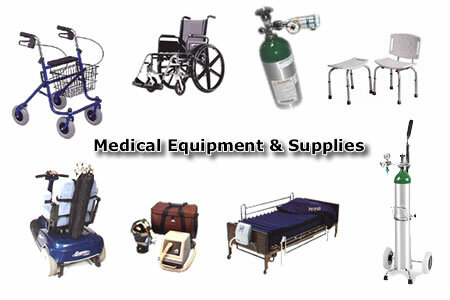 The Medical Equipment Bank is here to serve you, if you are in need of any medical equipment or medical supplies (or you have some to donate)…we are the ones to call. The way we work is items are donated to MEB and we loan them to those in need for as long as you need them at NO Cost. We loan out wheelchairs, portable commodes, transfer benches, shower benches, walkers, rollators, adult depends, canes, C-Pap machines, and so much more to anyone who is in need of it for FREE. There is no charge to borrow anything we have in storage. Our only concern is many of our shelves are bare, we try to keep them full but honestly it is up to all you generous people contributing any medical supplies you may not be using anymore. Please donate these items (we do have donation slips for your records), anything you donate, please be sure to disinfect, this helps us immensely as we have no water to clean them up. Small medical supplies have to be completely sealed in original packaging or we cannot accept them – sorry. In the past we have taken in electric beds and power wheelchairs not knowing if they are working or not, we have made so many trips to scrapyard and the dump, we can only accept items that are working when brought in, we will test them before they are unloaded at our store. If they are not working we cannot accept them, so please charge up chairs and test beds and chairs before bringing them to us. That also goes for any other electrical items and manual wheelchairs too. The MEB runs on a first come first serve basis and as some of you know we have a waiting list for items we don’t have at this time. How this works is when you call or come in, if we don’t have an item you need we put you on a list and as soon as it comes in we will call you, please note there may be a number of people ahead of you waiting for the same item. Your name will be put at the bottom of the list. We gratefully welcome new volunteers who can work an hour or two a week, you choose the day, either Monday, Wednesday or Saturday (hours are 10am -11am) Saturdays are our busiest day and help is needed this day especially, We are desperately in need of one or two drivers with trucks to be on call to pickup and do deliveries as needed. We are located at The Woodlawn Funeral Home 5930 Mullin RD SE, Lacey, around the back in the basement. Our hours are 10am-11am Monday-Wednesday-Saturday. Our phone # is 360 -456-8810. We return phone calls Monday – Friday only. Click here to visit the MEB website.